End of Part 1 of First Letter Home: The following day our journey was resumed and that afternoon the waggon reached home. The farm is almost square in shape, the lands and steading lying near the boundary furthest from Marandellas which was about thirty miles away. It takes a donkey waggon, however, five days to do the thirty miles owing to numerous swamps and a terrible road. Where the ground isn’t boggy, it is loose deep sand and the last ten miles consist of steep hills with the road in a terrible state. No repairs had been done since the Pioneer Column made it and in the rainy season, the ruts became watercourses. Traders and transport riders keep making deviations where possible, so in places, one finds a dozen parallel roads the older ones perhaps six feet deep in the ruts. We have three native huts made of saplings planted in a circle which is held together by four rows of a thin supple wood split bent around the huts and tied to the walls by tambo the inner-bark of a tree. This tambo seems to be universally used in Rhodesia instead of nails, screws, bolts or for any purpose where tying is necessary. The huts have high conical roofs thatched with the long veld grass which stands like fields of ripening rye all over the country. The grass after being dried is combed through a rake made by driving ten-inch nails through a bit of plank. One hut is our living one, another the storehouse, the third the kitchen and the furniture consists of a large packing case as table, two beds made by planting four forked poles in the ground laying two smooth poles lengthways through the forks, binding short cross sticks at two inch intervals along the frame and laying a thick mattress of dry veld grass sewn up in a couple of opened sacks sewn together. Our washbasin stands outside on a paraffin box and our trunks complete the plenishing of the little frontier home. The view from the homestead is glorious – ten miles away is a great mountain which is almost pure iron where native smelters make weapons for war and the chase, together with agricultural implements and household utensils for most of Mashonaland. The huts nestle against a granite ridge which divides two immense black swamps. On either side and before us are rivers and beyond the river in front is a wild mass of granite cliff and boulder full of trees, Tambookie grass fourteen feet high, caves and clefts. Leopards are plentiful in this savage bit of broken country and have already killed one of our donkey foals. Just in front of the huts, we have a fairly big stretch of well-drained red soil above which Kotzee has led a furrow from the top of a small waterfall in the river by easy gravitation he can easily lead all the water he wants for irrigation from this. Small game is plentiful – reedbuck, duiker and steenbok chiefly but there are kudu and sable on the farm – six miles from us the country changes into a vast wilderness of the wildest most broken land I’ve ever seen – it reminds one of some other world – a world that God has forgotten. Mountains composed of a single smooth piece of granite. Deep canyons filled with hills and immense boulders – words cannot attempt to describe it for its too huge, too wild, too God forsaken. This country is full of game – lions are abundant, eland, kudu, sable, waterbuck and every other kind of animal seem to be there. Baboons live in blooming herds of thousands. Kotzee and Kruger between them have proved that wheat can be grown on a commercial scale either under irrigation or in the big swamps. Oats do wonderfully well as does barley. From what I’ve seen and heard there isn’t anything in the world that can’t be grown. Transport is the whole trouble, not the ability to produce. Every farm has swamps composed of the rotting away of decayed vegetation. Through the centuries these swamps undrained, grow rice to perfection and beautiful oats or barley. 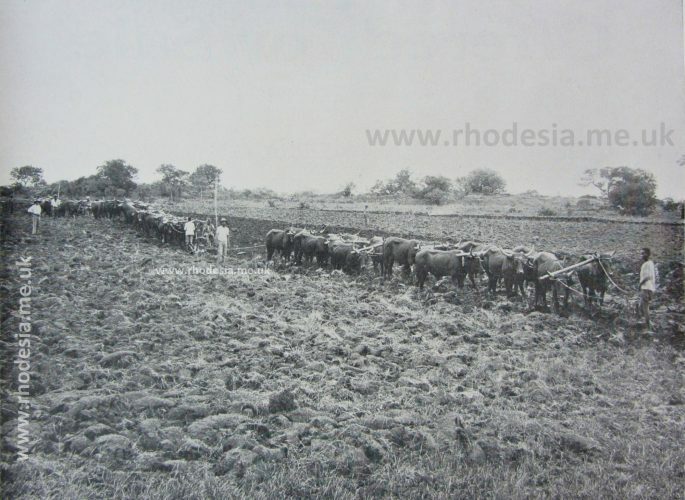 Drained they would produce record crops of maize, potatoes, onions, wheat. For years one could grow a summer crop of maize and winter ones of barley, rye, wheat, oats, potatoes, onions etc. on them. Today however one is not allowed to use oxen for transport owing to East Coast fever restrictions – mules are too expensive and the loss from horse sickness makes them unpayable – donkeys are too slow. It’s wicked seeing untold acres of land suitable for any crop and to realise that twenty-five miles of swamp and sand make it all just a wilderness. Labour is as big a problem as transport. The Mashonas are frightened of cattle, are so dense that trying to drive an idea into their heads is like trying to hammer a nail into a stone and if you look sideways at them they’re off and away for good and ever. One Xhosa with his two fighting sticks would hammer a hundred of them. They grow an extraordinary variety of grain – two traders handle fifteen thousand bags of maize, monkey nuts, ground peas – the last named grow like potatoes or monkey nuts under the ground – rapoko – a tiny red grain which is their chief food – rice – white, red and black varieties, Kaffir corn, millet, sweet potatoes and native beans – a kind of cowpea. Cattle, sheep, goats, pigs and fowls are plentiful. 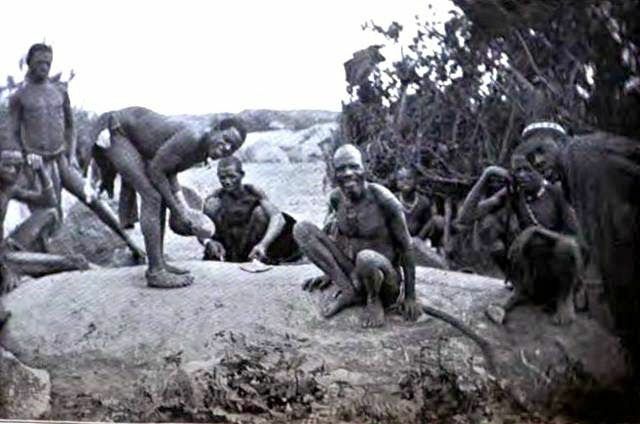 Honestly the Mashona live in a Paradise – most of their time is spent lying on rocks having sunbaths and drinking beer whilst their women do the work. Snakes are plentiful – both black and green mamba – cobras – black, yellow, brown and branded ones, puffadders and even twenty-foot pythons. The lizards are wonderful both in size and colour while scorpions and all kinds of spiders swarm. From what I hear the thunderstorms are the worst thing hereabouts they and the white ants. Nobody worries about malaria or blackwater – but take them as necessary evils. Crocodiles are plentiful so one has to be careful when bathing in or crossing rivers. Well, I’ve written this during spare hours in the past week and am sick of it. Mick was learning fast that his house held in honour and esteem wherever he went, and when once again clean and garbed as befitted a son of his father, the lad responded immediately to the kindness and interest shown him by his hostess, with the mercurial temperament of his Irish blood forgetting the past lean months as he chatted gaily of social life at the Cape. Next day his new employer called for him and behind a pair of magnificent horses, Mick drove out through what seemed to him the most romantic looking country in the world. The farmer finding Mick interested and well acquainted with the history of his surroundings began to point out various battlefields of the Kaffir Wars (Xhosa Wars). 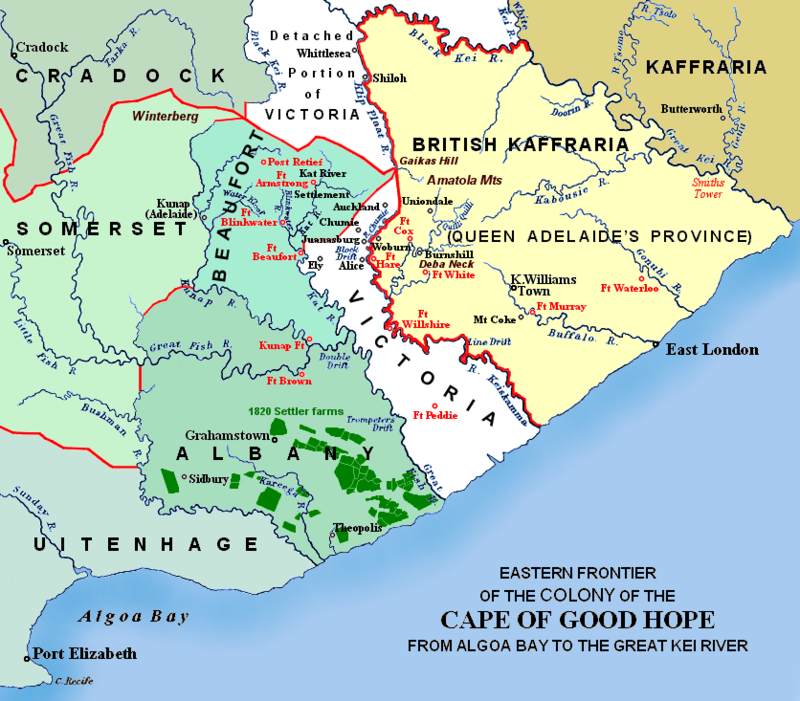 He himself had taken a leading part in the last great Kaffir War as well as innumerable skirmishes and raids. His grandfather who had come out with the 1820 settlers and his father had been through every Native War from 1820 besides fighting in both Boer wars. Encouraged by the boy’s eager attention Mr. Tracey related story after story of the old frontier days making twenty miles drive pass in what seemed no time whatever. At last a beautiful house nestling under brown lichen-stained crags was reached wherein the cool old-fashioned dining room Mick found a friendly gathering of charming people to meet him. A tall good-looking youth of his own age in response to a word from a handsome motherly gentlewoman took Mick to a comfortable well-furnished bedroom telling him that it was his bedroom leaving Mick to have a wash and a change. 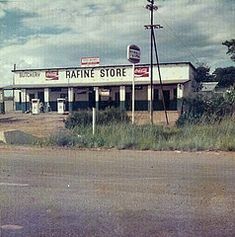 In Grahamstown, Mr. Osmond’s friend had insisted on the lad getting an outfit and had taken him to an Outfitter’s to whom he introduced the boy – his wife accompanying them had taken the matter of an outfit into her own hands so Mick was fairly well fitted out even if the clothing was ready-made. Returning to the living room Mick found a beautiful tea awaiting with two pretty girls to entertain him. One a daughter of the house, the other a niece who was acting as housekeeper. The evening sped by – dinner proved an excellent homely meal so when Mick sought his bed his happy-go-lucky nature revelled in the apparently perfect atmosphere Fate had brought him to. Next morning he commenced his duties. The farm he found to be run on well-organised business lines. The principal business was ostriches but Mr. Tracey was also a large cattle breeder, possessed many first-class sheep and went in extensively for agriculture. In many ways, the methods differed from those he had seen and learned in the Struan District – there even the wealthiest farmers had done their utmost to preserve as much as possible the patriarchal system of their forefathers and to adapt as well as they could the old-fashioned life to modern times. In the Eastern Province Mick found none of this. He was given to understand from the start of his life in the Albany District that he was amongst English people, finding to his utter surprise that the Dutchman was hated and despised and their ways and methods scorned. For the first time in his life, Mick found himself expected to know his work, to be able to organise, to accept responsibility and to handle native labour efficiently. Accustomed to the friendly Cape Coloured boys all of whom had been born and bred as their fathers before them to work from earliest childhood as farm labourers Mick found great difficulty in doing anything with the Eastern Province farm hands. Mr. Tracey employed only raw natives except for one old Cape Coloured. These natives were proud fighting Amaxhosa who looked upon most tasks belonging to a woman’s sphere of life – working as a gang on really heavy manual labour they were superb, but as individuals Mick found them lazy, arrogant and soon learned that they were perfectly willing and ready to return blow for blow whether their opponent was white or black. Then again for the first time in his life, he found himself in contact with tribal pride and prejudice. Some of the employees were Fingoes, members of a race formed by fugitives from the Zulu armies – this race pouring into Kaffir land had been enslaved by the Amaxhosa to be eventually released and granted lands by the British Government. The Amaxhosa held the Fingo in utter contempt everlastingly seeking excuses to thrash or otherwise maltreat them. The Fingoes on their part were neither cowards nor weaklings nor had their period of slavery been long enough to render them a servile people. They were of Zulu stock and were mostly ready to stand up to their former masters. Mick, a short, slightly built lad of nineteen had neither the training nor temperament to win the native’s respect and fear though he soon gained their liking. He was frankly too interested in them to worry about trying to show that he was their master. They on their front found Mick well able to handle ox-whip, implement or stock but very easy-going as regards handling themselves. Mr. Tracey shook his head but said nothing. He tried Mick in charge of gangs, gave him full responsibility over various works, tested his initiative and after a month called the lad into his office. From Boatsheds to Battlefields 34 Then came the rain. Recap B&B 33: Day after day the flocks and herds went by accompanied by great tented wagons and pulled by twenty-two donkeys driven by long-bearded Boers with ragged drabs of women and packs of wild barelegged children and savage dogs. 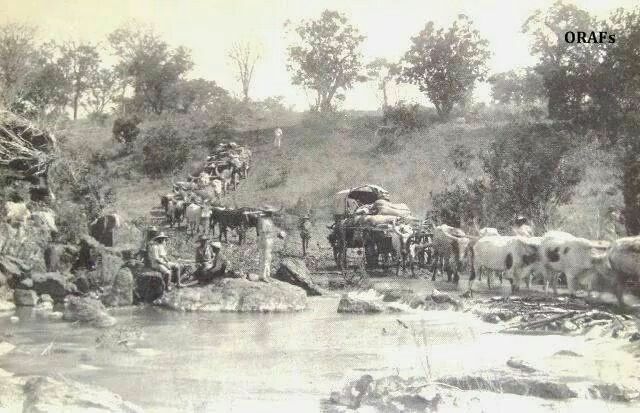 Many of these Boers had known no other home than their wagons. Generation after generation had been born and reared in these spending their lives moving with their flocks of sheep and herds of goats all over the vast North West Karoo. Few could read or write, they intermarried until they were so closely bred that degeneration was becoming obvious. Their wants were few – their diet simple and they went along the road of life hated by their cousins who lived more civilised lives and whose flocks of well-bred sheep and Angora goats were everlastingly being infected with scab and other diseases by the passing animals of the Trek Boers. Then in a land where water was as precious as gold, those, who by dint of great expenditure of labour and money had constructed dams and erected windmills, felt murderous when riding to sheep posts or carefully preserved grazing, they found some thousands of sheep and goats had gone by leaving a barren wasteland behind. To Mick came many a thought of what the country would have been like were the Union Jack not flying. As in the Western States of America, the rifle would surely have been the law and many a frontier tragedy been enacted. 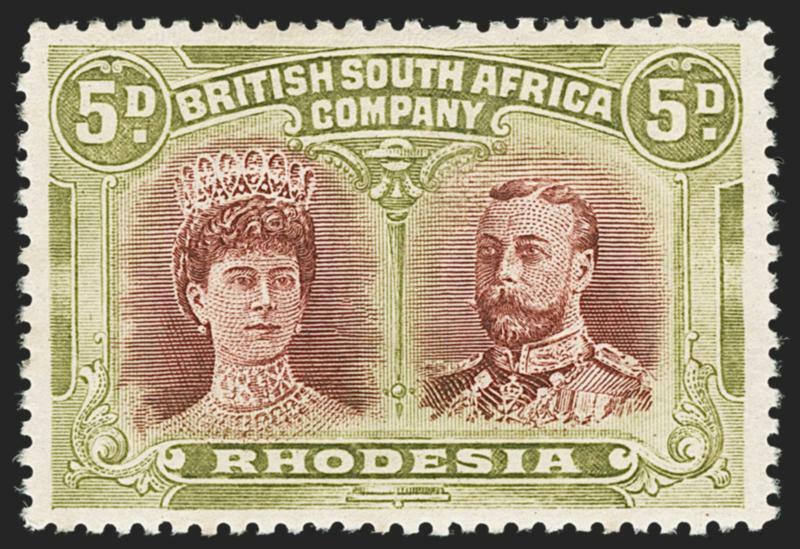 Britain however never has tolerated lawlessness and be a man a Boer, French, Canadian or Paddy O’ The Bogs he soon realises that Britain’s arm is long, and Britain’s law is merciless. As the unending columns of sheep and goats passed, Kruger too, began to feel the call of his blood until one morning he packed a wagon and moved on with two thousand purebred sheep. Mick helped by a son-in-law of Kruger’s remaining in charge of the farm. Two weeks later what was left of a magnificent flock returned mostly on wagons which the owner had hired at big prices and sent with loads of lucerne hay to save what he could of his sheep. 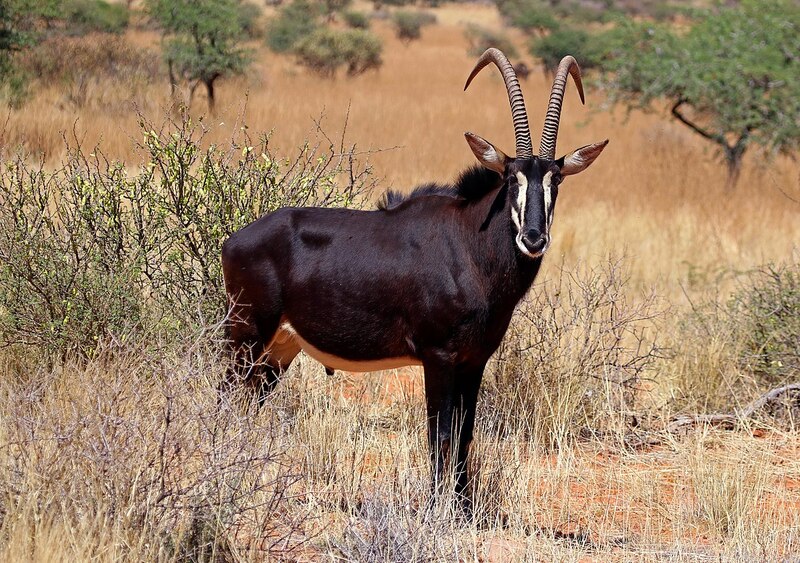 The tales brought back by Kruger were terrible – rain had fall over a small area in the Gordonia District and some quarter of a million sheep and goats had trekked there from surrounding areas. Armed farmers had kept the trekking farmers strictly to the width of ground allowed by lay as stock routes. Tens of thousands of lambs and kids had had their throats cut to save the drain on their mothers – speculators had bought purebred Merinos at two shillings and ridden every bale of hay they could get transported to the area. Sheep and goats were dying at the rate of a thousand a day. Then came the rain – not a shower – not a soaking pleasant rain but a torrential mass dropping from the black heavens whilst the earth rumbled and shook to the awful thunder crashes. Rain fell in heavy, solid, falling cascades of water driven by streams of blue fire – the hills seemed filled with dancing red demons as furious storms of lightning broke on them. Mick tramping back from a farm ten miles from Kruger’s homestead was caught in the very centre of the storm. When leaving the horizon was thick with piled masses of clouds beginning to travel fast up into the sky. Six miles from Kruger’s homestead came the first flash of lightning and a heavy black cloud above the lad seemed to drop slowly and surely earthwards. Beginning to feel frightened Mick pushed on with the longing swinging stride of the mountains anxiously searching for some place of shelter. Another crash and a long jagged streak of fire struck almost on top of Mick and the crack accompanying it half stunned him. Then came the rain. Bewildered frightened almost out of his senses the water streaming in torrents from him Mick ran blindly into the welter. In a few minutes, the veld was a gigantic lake with wicked swirling currents flowing through – these were old sunken roads, ditches, and watercourses – many were six to ten feet deep with a thousand hills, and miles of flooded country pouring their water into any channel which could carry it away. Every drain was soon a raging mill race. Several times in crossing them the boy was all but swept off his feet but doggedly he kept his course certain he would perish but determined to die fighting. As he grew nearer home he found it becoming more and more dangerous fording the streams and stripping off his clothing he fought on naked to the skin carrying his sodden garments. Even stripped and swimming strongly Mick found it touch and go with one or two of the crossings. Then suddenly the storm passed by him – overhead was a dark violet sky in which the jewels of Mary were shining before him was a rain-soaked, sweet-smelling land already the force of torrents was abating. Swimming the final formidable ravine Mick donned his garments and chilled, exhausted but still smiling made for the friendly light of Kruger’s house. A week later the world was a wonder mass of tender green and vivid colour splashes carpeted with flowers in their millions and the air, still with the crisp tang of the winds that had wrought the miracle, was sweet and clean to the nostrils. Six years of drought were gone and once again dwellers in the great lonely North West breathed happily as they watched their well-contented flocks and herds. End of Entry 32: Mick jumped at the offer and feeling at last that the gates of Romance were opening arranged to leave the beautiful Valley of Contentment. Far away in the heart of the Great Karoo lies the little Dutch village of Carnarvon. For three days the train has been traveling through the vast plateau – hour after hour, day after day the eye has seen little to break the monotony – white plains stretching apparently into infinity – dotted with endless hills flat-topped, naked but for the scanty covering of small bushes. Never a tree except where stood a lonely homestead with its attendant windmill. Here and there a flock of grey coloured merino sheep the wool corrugated in great folds upon their neck and shoulders. Now and again a few horses running wild, sometimes a wagon drawn by twenty-two donkeys. Round the railway stations a cluster of miserable hovels made from beaten out paraffin tins. All along the line stood powerfully constructed blockhouses loopholed for rifle and machine gun fire – whilst every few miles were tiny cemeteries filled with well cared for graves each with its uniform white cross – the graves of Britain’s dead killed by bullet or shell, died of wounds or typhoid the graves of 1899-1902. Ever as the journey lengthened the wastes grew drearier and more lonely until at long last appeared a mass of white houses half buried in green patches and spread amongst a forest of windmills. Many years before Mr. Osmond had been the Magistrate’s Clerk in Carnarvon and his memory had remained green in the hearts of the older generation. Mick who had become very downhearted during the latter stages of the journey brightened up instantly as the train came into the station, and half a dozen burly Dutchmen of apparently prosperous standing picked him out from the other passengers and extended him a bluff good-natured welcome. Mick spent two days in the village visiting old friends of his father’s and becoming interested in a most vivacious niece of one of them. Then on the third day, he left at daybreak on a mule wagon packed high with lucerne hay. Two hours through what might have been Arizona brought the wagon to a rather pretty farmhouse standing amidst a few acres of lucerne, oats, orchards and eucalyptus trees. An oldish Dutchman of rather prepossessing appearance met the wagon and gave Mick a cordial greeting introducing himself as Mr. Kruger the manager. Taking the youth into the house he introduced him to a pleasant looking woman, his wife and to a tall girl, a niece of his who was rather pretty. Mick settled into the new life immediately – there was apparently no work whatever – some two thousand Merino sheep and six hundred Angora goats were herded over a vast tract of country which had not had rains for six years. Now and again Kruger would count a flock but for 167½ hours in the week, he sat smoking, drinking coffee, brooding or sleeping. Everyday an average of a dozen valuable sheep died of the drought – the irrigation water became saltish and nothing watered by it grew. Now and again a few tiny clouds appeared on the horizon but by noon they were once again away. The sun blazed down with pitiless heat – nowhere as far as could be seen was there a leaf or blade but apparently, it didn’t worry Kruger one iota. “It is the Lord’s Will” and that was the start and the end of it. One day rain would come – this year or the year after – there would be perhaps two good years maybe three and everyone who had survived would do sufficiently well to keep over until the next drought. As the weeks past Mick grew more and more bored – accustomed to a life of throbbing activity, where a man’s daily curse was at the shortness of the daylight hours, and a thousand and one tasks crying for attention, he found it impossible to sit beside Kruger and meditate on the past, present and future. He flirted desperately with Susie; but she was of a serious nature and deeply religious, besides being older than he was. He went for rides but derived no pleasure from them, having no goal to reach. Mick began to ride into Carnarvon and sit with a brandy and soda chatting to the German hotel proprietor or go to wild dances amongst the lower type of Dutch. 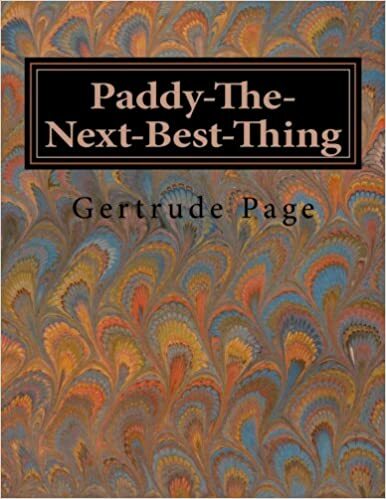 He imagined himself in love with Susie and grew morbid nor did her company help him grow more cheerful – Susie was full of the wickedness of men and the weaknesses of women, and under her influence, Mick began to realise that he himself was a sinner in all probability doomed to everlasting perdition. The drought grew worse and then came news of good rains some two hundred miles away in Bushmanland. Day after day great flocks of sheep – Merinos, long-legged Namaqua sheep without wool and carrying tremendous tails of pure fat – some so large and heavy that it seemed extraordinary that the sheep could carry the burden; herds of beautiful Angora goats their bodies covered with long silky mohair, herds of Boer goats of every size and colour. The world seemed filled with moving masses and the air was heavy with their cries. Day after day the flocks and herds went by accompanied by great tented wagons and pulled by twenty-two donkeys driven by long-bearded Boers with ragged drabs of women and packs of wild barelegged children and savage dogs.